Washington must do more to deter “Russian aggression,” including sending lethal weapons to the government in Ukraine and engage in information warfare across the board, the top US commander in Europe told lawmakers. 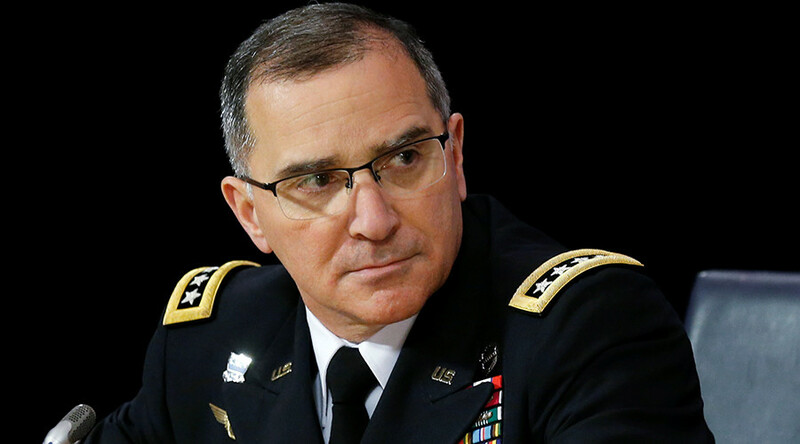 "I personally believe that we need to consider lethal defensive weapons for Ukraine," General Curtis M. Scaparrotti, head of the US European Command (EUCOM) told the House Armed Services Committee on Tuesday. “I haven’t discussed that specific issue with most of our partners,” Scaparrotti admitted when he was asked about the NATO allies’ opinion on arming Kiev. The general is also the NATO Supreme Allied Commander in Europe (SACEUR). “Russia seeks to undermine this international system and discredit those in the West who have created it,” Scaparrotti argued in his opening remarks, calling for “demonstrating strength in every area” when it comes to dealing with Moscow. He also accused Russia of threatening every country in its vicinity, stoking ethnic tensions in the Balkans, “complicating” US operations against Islamic State (IS, formerly ISIS/ISIL) in Syria and violating the Intermediate-Range Nuclear Forces (INF) Treaty by deploying land-based cruise missiles. For its part, Moscow has rejected insinuations it was violating the 1988 treaty. At the hearing on Tuesday, however, Scaparrotti and the lawmakers were of the same mind that Russia was an adversary and a threat in every respect. In addition to arming the government in Ukraine and building up the US military presence in Europe, the general advocated information warfare as well. “Going forward, we must bring the information aspects of our national power more fully to bear on Russia, both to amplify our narrative and to draw attention to Russia’s manipulative, coercive, and malign activities,” he said. Scaparrotti’s predecessor, General Philip M. Breedlove, had worked for years with State Department and other Washington insiders to push the Obama administration to be more belligerent towards Russia, according to his private emails released by DCLeaks in July 2016, shortly after Breedlove’s retirement. Last week, Breedlove testified before the Senate Armed Services Committee, calling once again for arming the government in Kiev.